Justice Nuagbe, a Nigerian comedian and actor better known as Ushbebe, says being an entertainer is his calling. Ushbebe, who featured in Eniola Badmus’ new movie ‘Ghetto Bred’, says being an actor and comic is more than a job to him. 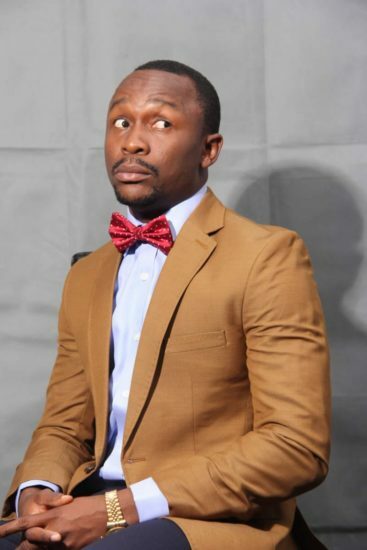 Apart from his gigs as an actor and comedian, Ushbebe also hosts a radio show. When asked how he combines the three careers, he said, “I’m a theatre artist, it’s what I studied. So na my work… it’s like asking someone who does business/marketing about their job. I, my director and A.Y were all in the same department, so it’s what we do. The entertainer disclosed that he is currently working on the extension of his short film ‘London & The Beast’. “We are working on the actual full movie. We’re still gathering the works and soon we’ll start shooting,” he said. Commenting on ‘Ghetto Bred’, Ushbebe described it as “one of the most interesting movies” he has ever been involved in. The comedy film boasts of a star-studded cast which includes Helen Paul, Nedu, Broda Shaggi, and Yaw. According to Ushbebe, “everyone did fantastically well” on set. 0 Response to "Comedian Ushbebe Reveals Why Being An Entertainer Is More Than Just A Job For Him"